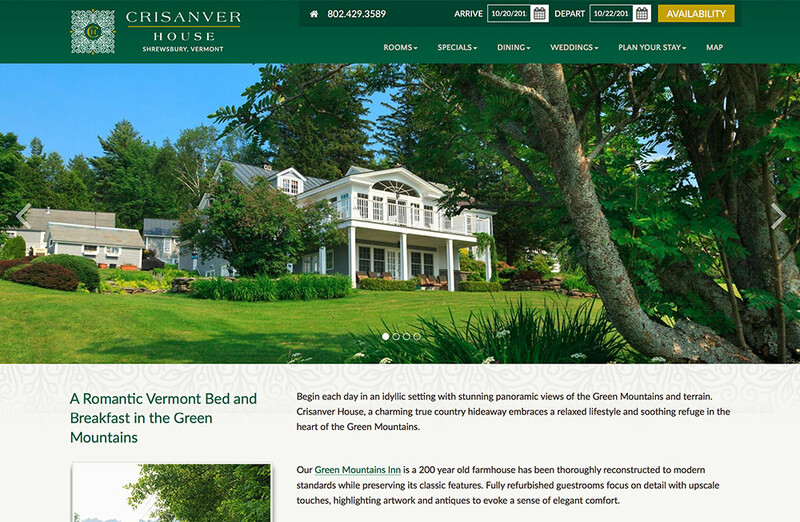 Other than their location in little known Shrewsbury, Vermont, the lovely Crisanver House had been woefully under-marketed for many years. 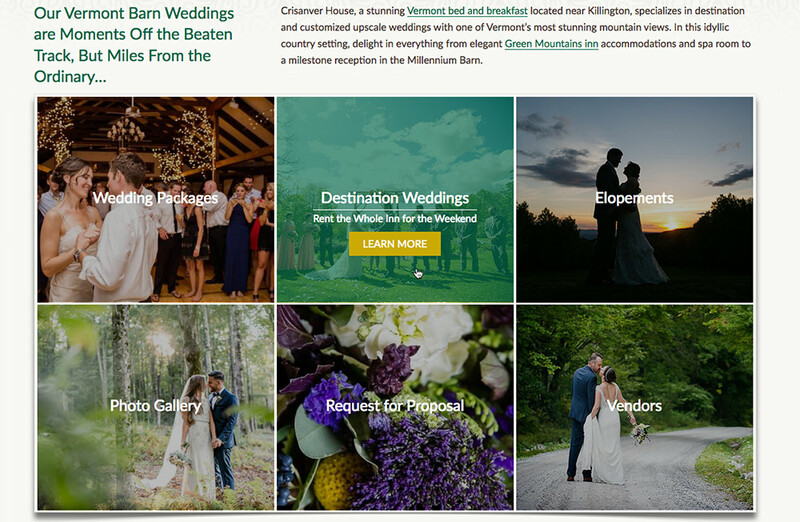 Owner Michael and Carol Calotta and daughter Andrea decided to take the leap and hire White Stone Marketing and Jumping Rocks Photography to deliver the true picture of everything their romantic Green Mountains Vermont bed and breakfast has to offer. Their wedding and event facilities are simply unparalleled in the amazing views they offer to guests. 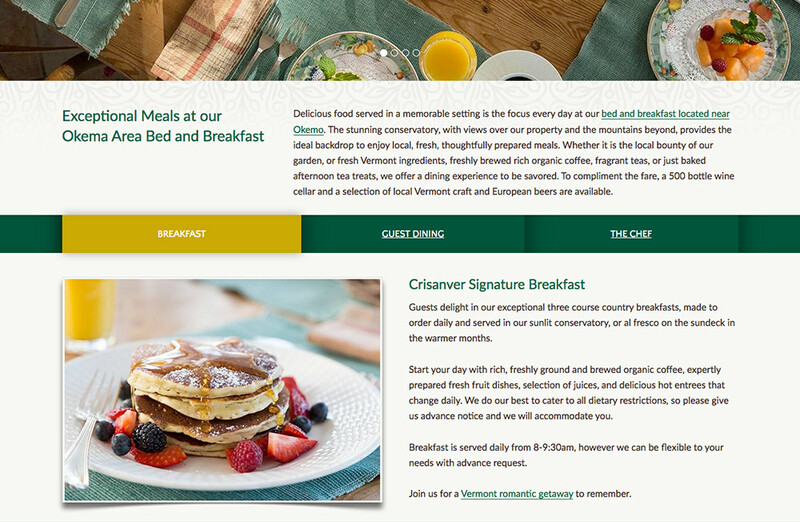 However, precisely what makes Crisanver House so special did not come through in their previous design and therefore their event and leisure business was suffering. To begin, we started a robust marketing push along with a new image. 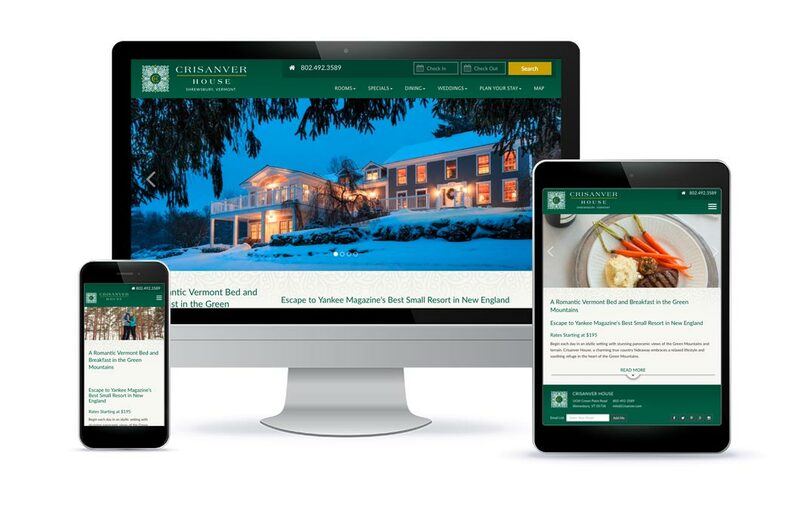 After many back and forth creative discussions, we were able to present a new look for them in an elegant logo that clearly matched the image they hope to convey — elegance in the heart of the Green Mountains of Southern Vermont. 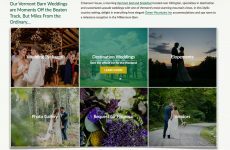 Their Requests for Proposals began to steadily stream in as interest in their event space doubled with the development of their new website. By showcasing the amazing photography by Jumping Rocks, we were able to highlight the incomparable views in every possible way throughout the site. Their views along with the large, open spaces and the lush, sprawling property which make up Crisanver speak to the true heart of this special property. 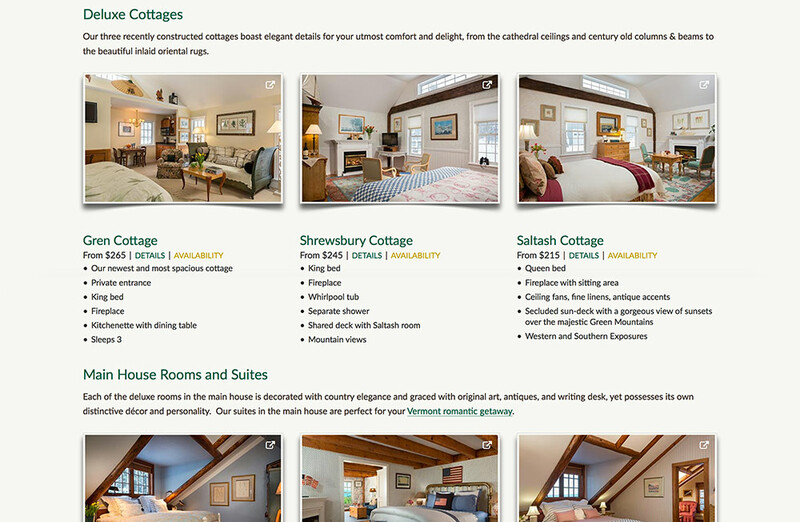 Each guest room is elegantly appointed and spacious creating a true luxurious experience for all who find themselves lucky enough to be lodging and dining at Crisanver House. To the whole Calotta family – Thank you for deciding to put your trust in us and for allowing us to create a site we are all proud of!